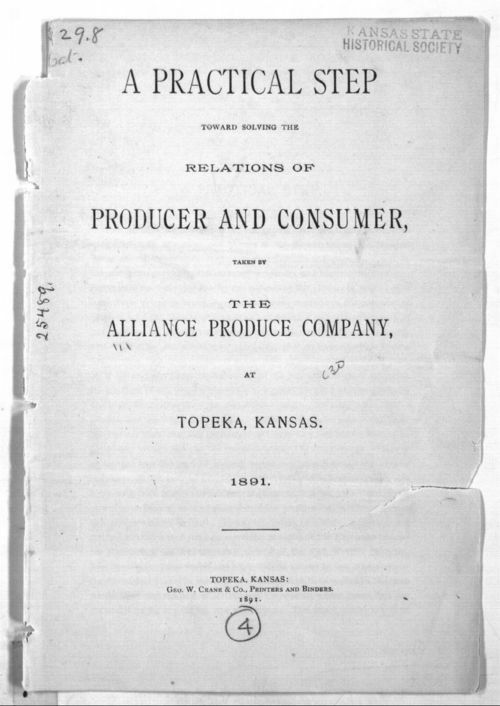 This pamphlet explains how the Alliance Produce Company proposed to allow the producer to eliminate steps in getting products to the consumer and, thus, increasing the producer's profits. The company was an attempt to put Populist principles into action. The company was located in Topeka, Kansas. Its secretary and general manager was Loren L Hopkins. The pamphlet also includes a stamp for Jas. H. Lathrop, a general agent of the Alliance Produce Company.